Fashion is all about what’s new and next, so if you want to know where the industry could be headed, looking to today’s crop of fashion school students may be a great place to start. After all, they’re the ones who will be dictating the future trends. Amazon realized this and has given fashion students an opportunity to flex their creative muscle and show us what’s to come once they graduate and start working in the industry. 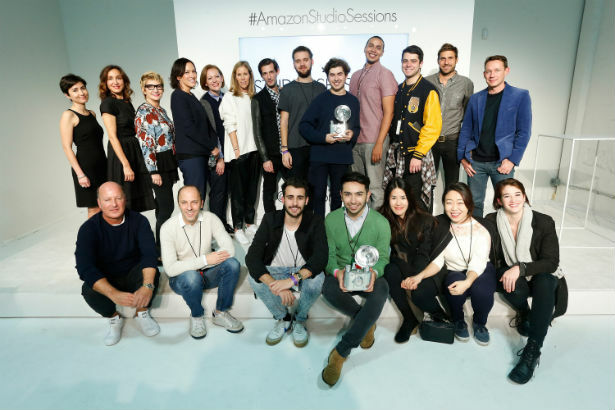 Last year, the e-tailer held its Studio Sessions competition, tapping students from LIM College, the Fashion Institute of Technology, Parsons The New School for Design, School of Visual Arts and the Pratt Institute to compete against each other by creating an editorial for Amazon. The contest was such a success, the company decided to do it again this year. Amazon divided 10 of the top students from each school into menswear and womenswear teams, each tasked with having to shoot, style and produce a fall-themed editorial based on the products available on the website. The competition took place at Amazon’s Williamsburg photography studio, where the students were joined by mentors to help them conceptualize their campaigns. Lori Goldstein, Eric Wilson, Amy Odell, Ivan Shaw and Kate Dimmock guided the students through their work as they shot all day. Michelle Phan was on hand to give each team advice for their beauty looks. Students from all different majors came together to art direct, style, photograph and put together the editorials, which they presented to a panel of judges at the end of the day. Listening to each student team speak about their respective projects, it was clear that these kids are learning a lot at school. The understanding of the Amazon customer, the attention to detail and catering to the ever-important “working woman’s” market really came through. Also apparent was the students’ keen sense of innovation. The teams were allowed to work mostly with flat JPEG images, but FIT’s womenswear team created a graphic that could easily be converted into a rollover, creating a more experiential and dynamic graphic. Parsons’ menswear team styled their male model in a woman’s coat to add a splash of color to the editorial. Students from SVA womenswear and Pratt menswear took home the top honors for their respective “Fall in Love” and “Wear Your Own Adventure” campaigns, both of which you can see (and shop!) on Amazon. In addition to being featured on the Amazon website, each team took home $25,000 and another $15,000 to go to their schools. The second-place winners received $10,000 for their teams. Of course, Amazon wouldn’t let the kids’ hard work go to waste — all the entries, even those that didn’t make the top four, are available for viewing on Amazon Fashion’s Facebook page. 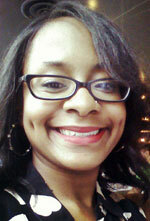 Check them out and vote on your favorite. Amazon will give the winning team a $5,000 gift card, which we’re sure will make holiday shopping a heck of a lot easier for one lucky group of students.